Mayweather and McGregor – both excellent promoters on their own – went to work riling up their fan bases, instigating the opposition, and saying and doing whatever was necessary to get fans to pay the required $100 for this once-in-a-lifetime PPV spectacle. The two fighters toured all over the world and all over the United States, with each stop’s antics getting increasingly more outlandish. Finally, after months of shouting and insults and intense stare downs, Mayweather and McGregor finally met in the ring. The fight went as anyone should have expected it to go, with Mayweather simply wearing McGregor down late in the fight. The referee stopped the fight, the two men hugged, Mayweather “retired” again, and both men walked away with massive 9 figure checks. In reality, this entire promotion was a sham. McGregor stepped into a boxing ring a novice, while Mayweather returned to the ring as the experienced master. Yes, McGregor was a boxer in his younger days and sure he fought with his hands in MMA. But Mayweather is arguably one of the greatest boxers ever. (“TBE” or “The Best Ever” according to many, especially according to Mayweather.) Mayweather devoted his life to the sweet science of boxing -of knowing when to jab, when to duck, when to slide, and when to attack. In his career of 49 wins and zero losses, Mayweather made world class boxers look average. 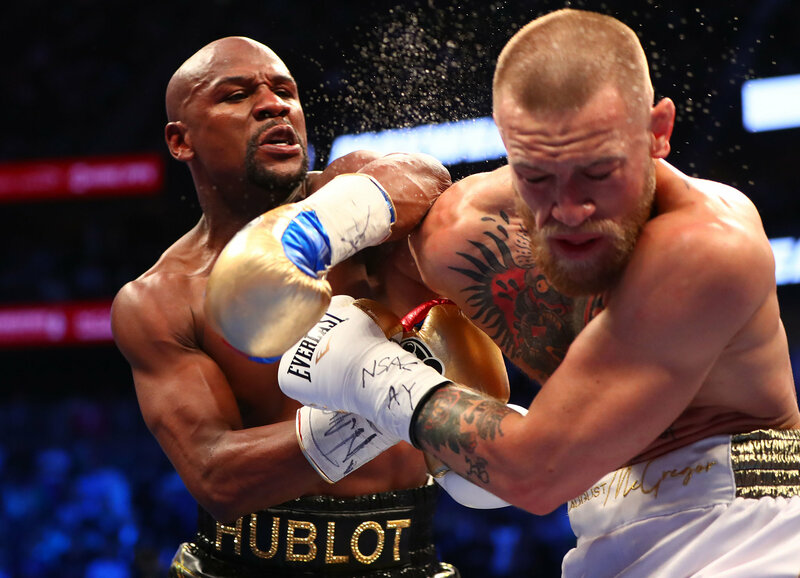 And while McGregor had a puncher’s chance to win this fight, the reality is that Mayweather was not going to allow himself to take that punch. So if you paid $100, then you were treated to a rather 8 month show. It was filled with athletic accomplishments and passionate actors. It ended exactly how you should have expected it to end. And while it might have been “wildly successful,” here’s hoping that we never see another spectacle like this again.